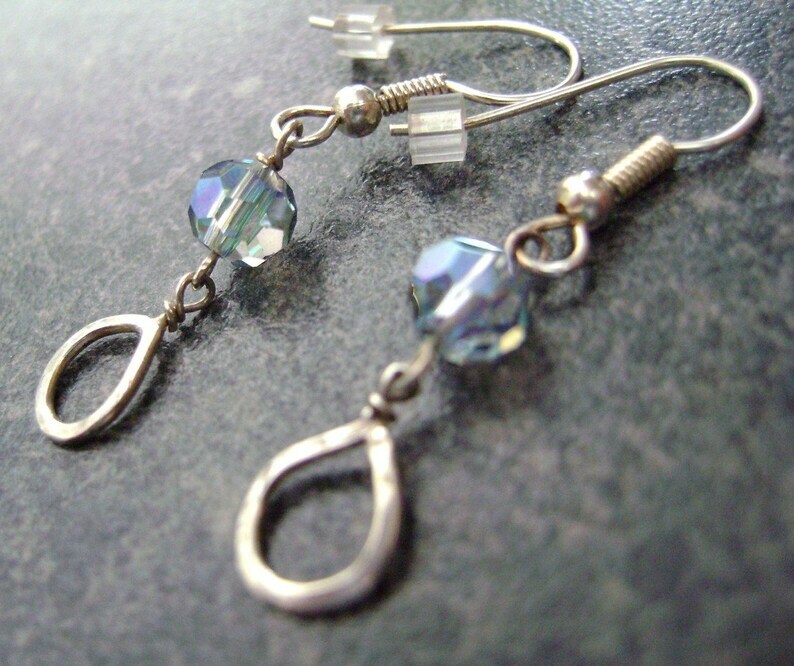 These BLISS earrings are one-of-a-kind sterling silver dangle earrings. \The hammered silver teardrop is beautifully adorned with a faceted crystal bead, that catches the lightest blues and greens! These earring focals measure approx. 1/2" wide and 1" long, and dangle freely from simply-stated sterling shepherd's hooks. These eye-catching earrings are very lightweight and will go with all of your wardrobe. BLISS is shipped professionally tagged and boxed.... Perfect for gift giving!